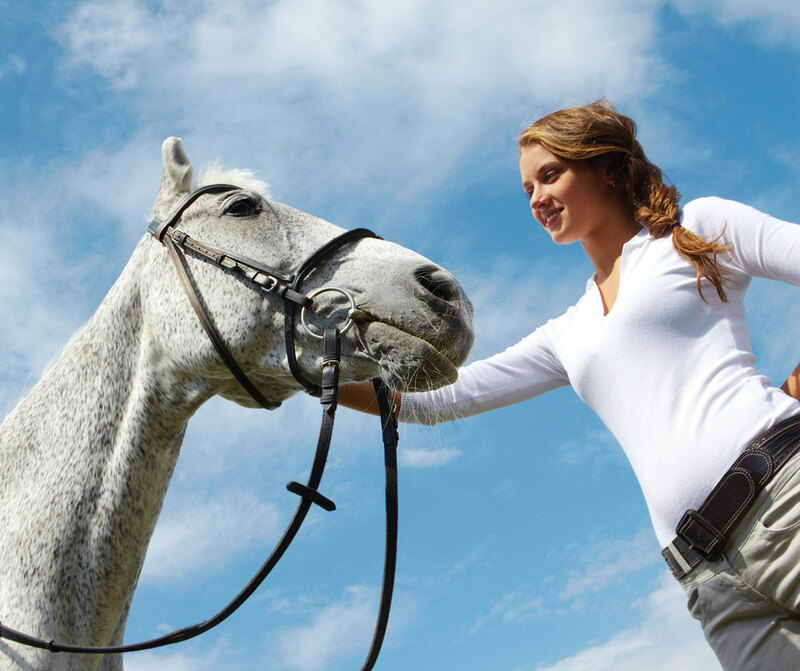 Owning and riding horses may not be logical, but there are reasons why we find ways to do it. Like most of you, I love horses. I love all things associated with horses. I love the barn in a deep, quasi-spiritual way. The concept of “forest bathing”—soaking in the sights, sounds, and smells of the outdoors with positive health benefits—is my approach to horse time. I don’t want to show up, ride, and hit the road; I prefer to steep in the barn until I am pruny with horsiness, a human tea wrung from sunlight, grass, fly spray, leather cleaner, horsehair, dust, and errant straws of hay. But some days, when I catch a glimpse of my bank account, I wish I loved something else. Something less expensive, like gardening. Or exotic cars. Or Manhattan real estate. I’m usually what a kind person might call frugal, and others might call cheap. But that thriftiness typically walks right up to the barn gate or the tack store door, turns on its heel and steps out to get a cup of coffee for a few hours. When my penny-pinching side returns, I find myself mired in guilt. I can see how this looks to the average human. I know it sounds weird that you can lease a horse (or that you can lease a horse for a show season). That you might regularly pay a second mortgage to keep your steed happy and fit. That you can shell out hundreds or thousands for a single weekend of “fun” during which your horse may delight you with a 10-cent ribbon. Or he might just as easily dump you in the courtesy circle, refuse the last fence, or pull a shoe on the longeline before your first class (because the one individual who definitely doesn’t know or care what you spent is your horse). I informally surveyed 18 horse people to get a sense of their approach—and, let’s face it, to feel better about myself—and I found two overwhelming similarities: nearly all of us felt guilt, and nearly all of us wondered how others managed. Most of us pay for our horse-related expenses from our own incomes, though a few do so with spousal or parental support. Our spending varies from under $500 per month to $3,000 per month, and from less than 10 percent to more than 50 percent of our incomes (10 to 20 percent was most common). A big surprise to me was that most of us don’t formally budget our horse expenses, though we have a general sense of our limitations and try to stay within them. I have to assume that, like me, some purposefully avoid writing it all down to prevent dying of shock. When something extra crops up—a show, a clinic, a killer deal on a bridle—we typically check our budgets on the fly to assess whether we can stand the hit. But we’re sensible, too, making horse leases and ownership work while contributing to retirement accounts, savings accounts, investments, car payments, mortgages, insurance, student loans and other expenses. Yet despite mostly footing the bill ourselves, keeping a firm feel of our finances, and saving responsibly, 83 percent reported feeling guilty about horse-related spending sometimes or often. Most said it was worth it. 11 percent said they sometimes wondered if it was. A lucky few said they or their spouse/parent work hard to pay for their horse activities, and they don’t feel guilty at all. I wish I were in this last group, because I do work hard to lease my horse, but I am decidedly in the first. I feel guilty all the time, and I’ve even found myself wondering if it’s worth it. A good hack always changes my mind. But if you, too, feel the pinch of guilt as you write your next check to the vet or your trainer, take solace in the fact that you’re not alone. Sure, some people hit the lottery with trust funds or endless resources, but most of us are in this together, turning up our noses at $150 designer heels for work so we can slap our plastic down for the nice galloping boots. This is a pricey passion at the lowest level. Don’t forget to take a deep breath. Inhale the smell of fresh shavings. Enjoy the scent of clean leather. Feel a soft velvet nose. Steep in the horsiness until you’re pruny. It won’t be long before you remember why it’s worth it. Emily Bogenschutz lives in Texas and is a freelance writer, recent hunter-turned-jumper, and professional sneaker of saddle pads into the washing machine.